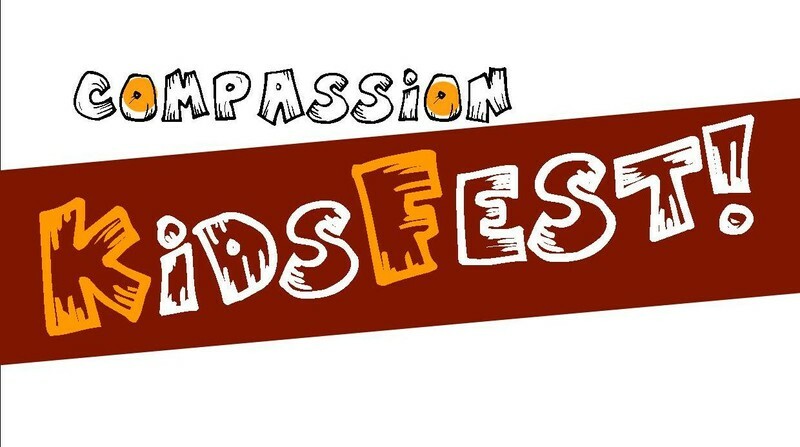 Children will enjoy a CompassionFest of their own, learning about compassion through a cool programme of activities including baking, sculpture, acting, and decorating supermarket trolleys and visiting the Home of Compassion in Island Bay! Why? We're finding out more about Suzanne Aubert and how she devoted her life to helping sick and very poor people, and hundreds of babies and children! A free festival for children and parents/carers. Grandparents: bring the young ones for a day of fun! (All children must be accompanied). 10am: Let’s make compassion soup! And bagels! 11am: Sculpt something awesome for the Home of Compassion garden. 11.30: The Life of Suzanne Aubert - a Godly play. 2pm: Gather at the Presbyterian church and walk our trolleys to the Home of Compassion, 2 Rhine Street. Our fun finale: “Small Steps in Big Shoes”, a guided walk through a special children's Mother Aubert experience at the Home of Compassion! KidsFest is at the Presbyterian Centre: 88 The Parade, Island Bay. 100m city side of the shopping centre. Book your family by emailing - office@ibpc.org.nz or phoning - 383 8699. What is CompassionFest? A Festival of Compassion in South Wellington. Join in the weekend of events exploring the life and work of Mother Suzanne Aubert, New Zealand and Island Bay icon! Suzanne Aubert founded the religious order ‘Daughters of Our Lady of Compassion’ in 1892. She later started two hospitals in Wellington: St Joseph’s Home for the Incurables in 1900, and Our Lady’s Home of Compassion in 1907. The Soup Kitchen she started in Tory St continues its service today. See the full Festival programme at www.ibpc.org.nz. Running from 30 Sept til 7 October, it includes an art exhibition, a 'Compassion' focused symposium featuring politicians and theologians; a natural tonics workshop; a homebrew festival; a pop-up soup kitchen, and three services celebrating the legacy of Mother Aubert. Restaurants to book near KidsFest!